Walker Pest is here on time. They are very dependable, Our Service Man is always polite and very professional. Gets right to work and brings anything to my attention. 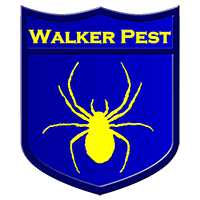 Walker Pest is effective with the services they provde to our company. Nice to know with Walker Service there is one less worry !! BRANDON AND TREY--HIS SOON TO BE REPLACEMENT == WERE ON TIME AND CAREFULLY LISTENED TO OUR ACCOUNT OF ANY PEST EXPERIENCES SINCE THE LAST VISIT. THEY THEN STARTED A THOROUGH INSPECTION AND THEN TREATED ALL AREAS OF OUR HOME BOTH INSIDE AND OUTSIDE AND UNDERNEATH. THIS TREATMENT INCLUDED THE GARAGE AREAS. Quarterly school pest prevention and monthly cafeteria services! Completing a residential follow up service for mouse exclusion. Doing a residential pest control treatment for clover mites in Columbia. Quarterly school service and monthly cafeteria service! Completing a residential quarterly bed bug prevention service. Doing a monthly commercial pest control service in Newberry. Quarterly school pest control service!